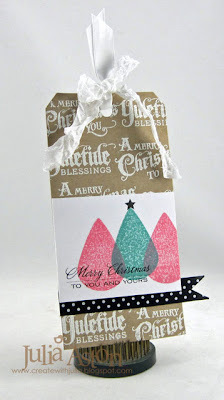 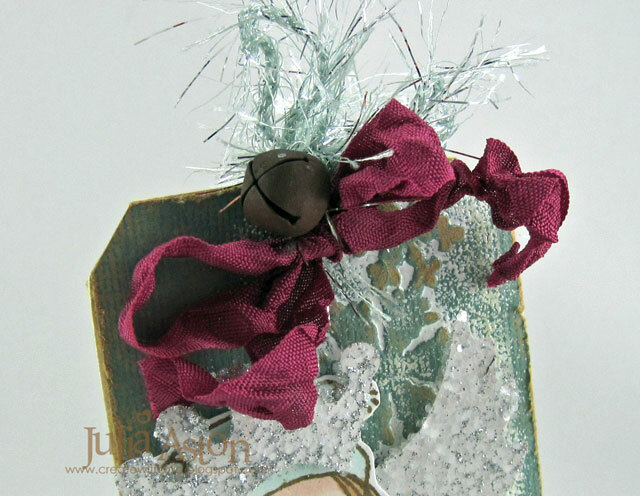 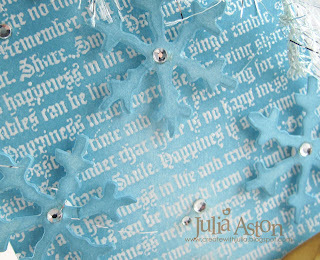 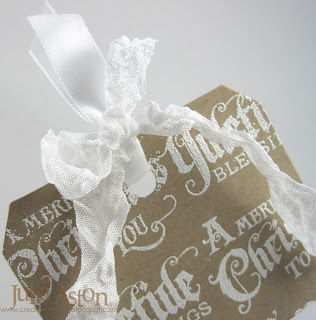 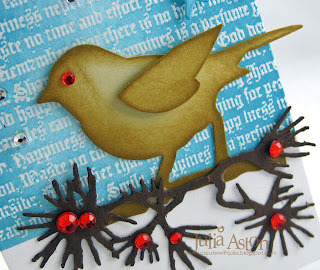 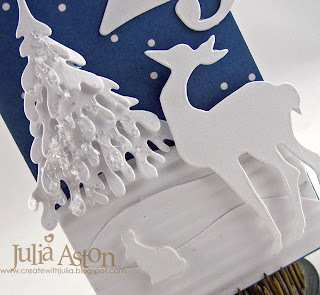 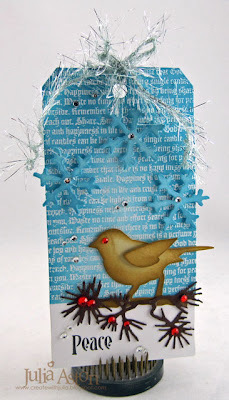 I just found Ellen Hutson's 12 Tags of Christmas with a Feminine Twist 2012 and thought I'd jump right in and participate even though I got a late start (they started on Dec 1)! 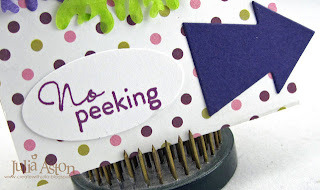 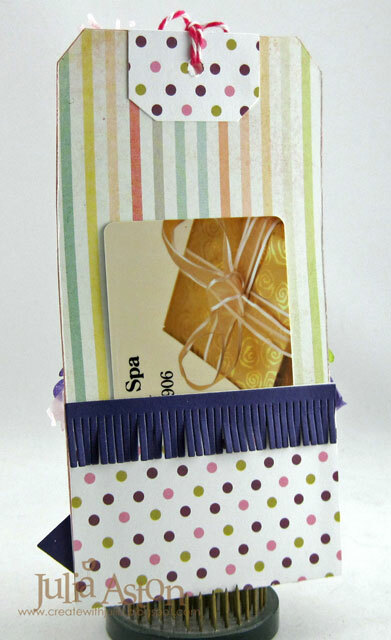 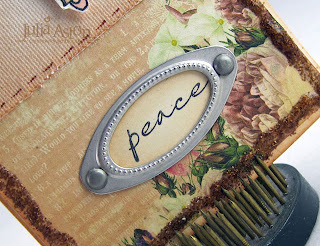 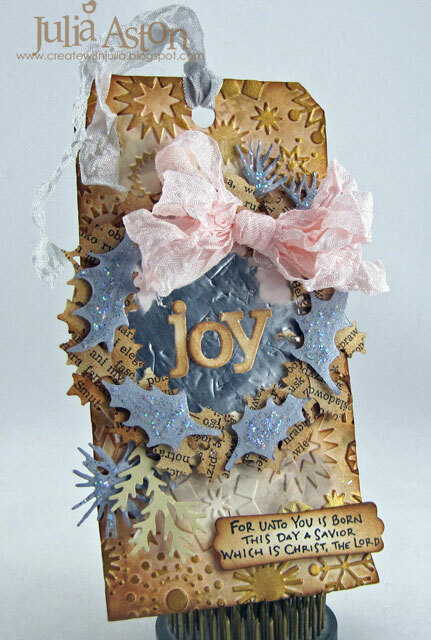 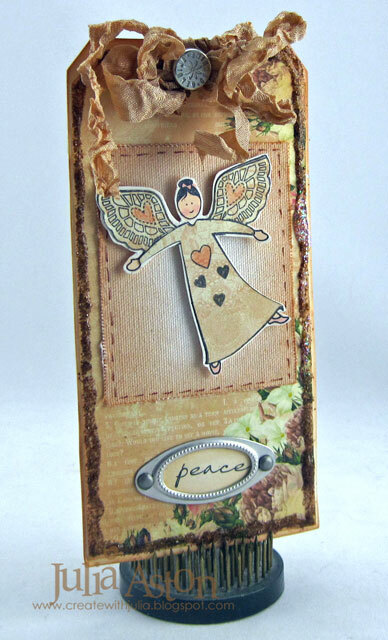 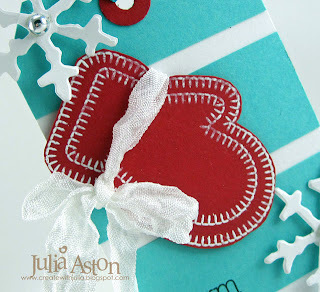 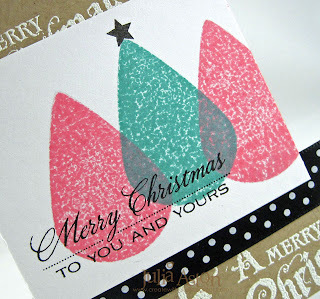 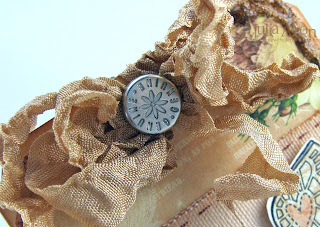 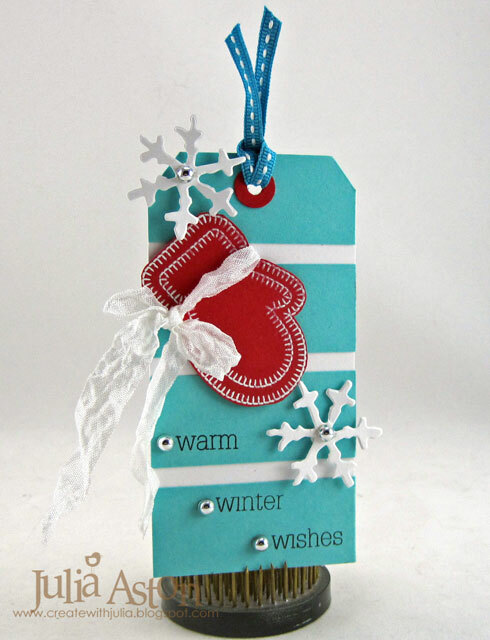 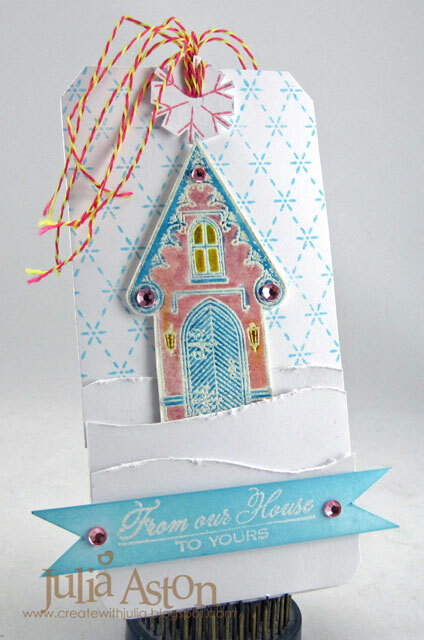 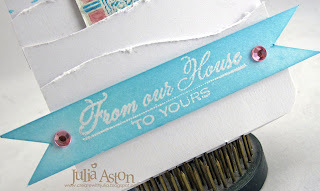 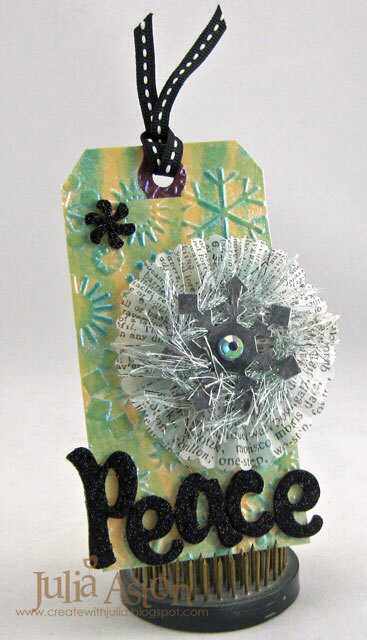 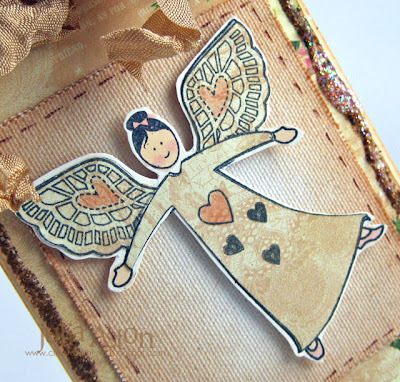 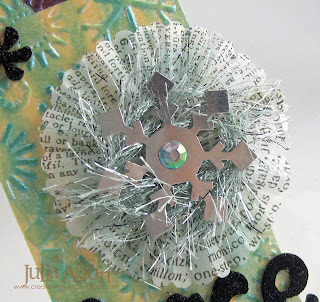 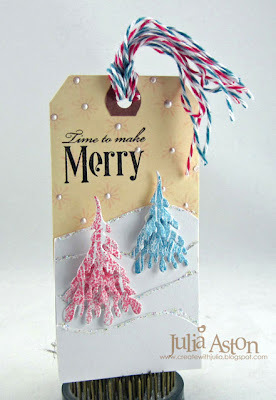 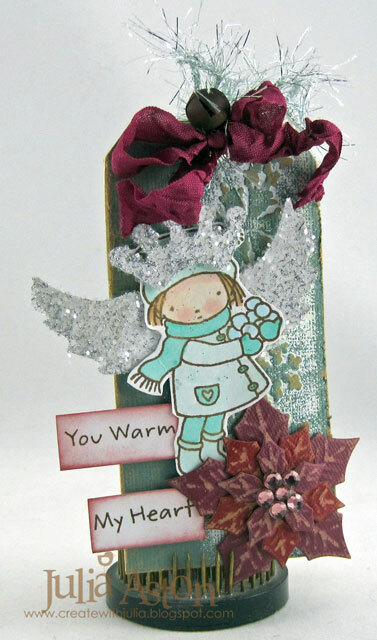 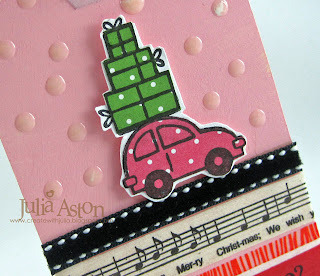 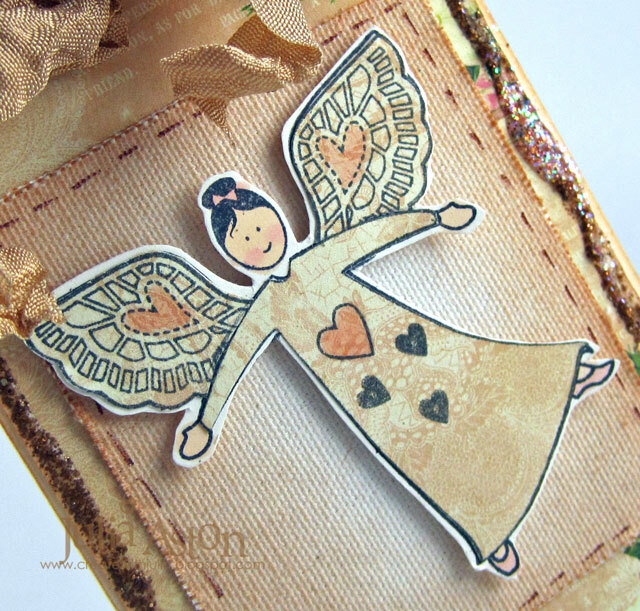 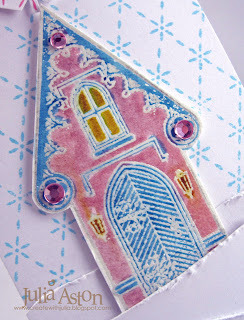 I used different stamps and different materials that I had on hand - but I tried to create the same feeling of her tag! 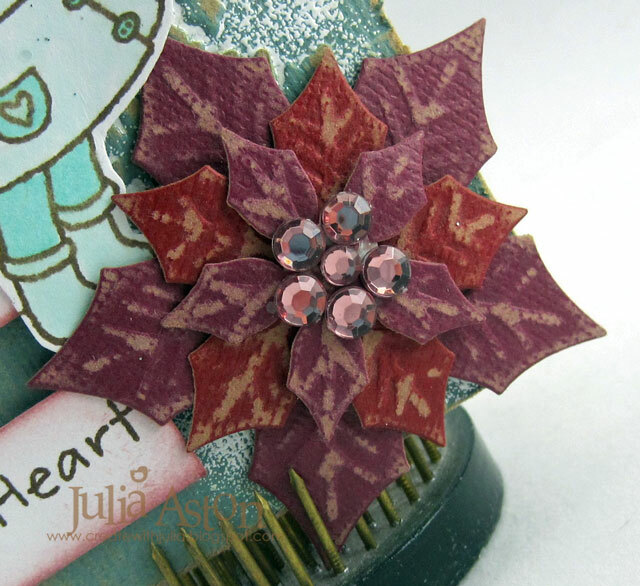 I used the Layered Poinsettia by Spellbinders for my flower. I used wrinkled seam binding and Glitter Eyelash Yarn for my ribbons tied at the top with a bell. 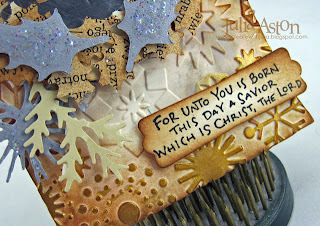 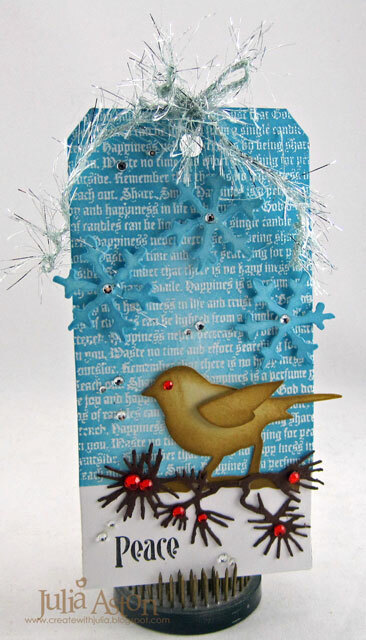 If you'd like some more Christmas Inspiration - Creations by AR is having Christmas Days starting today! 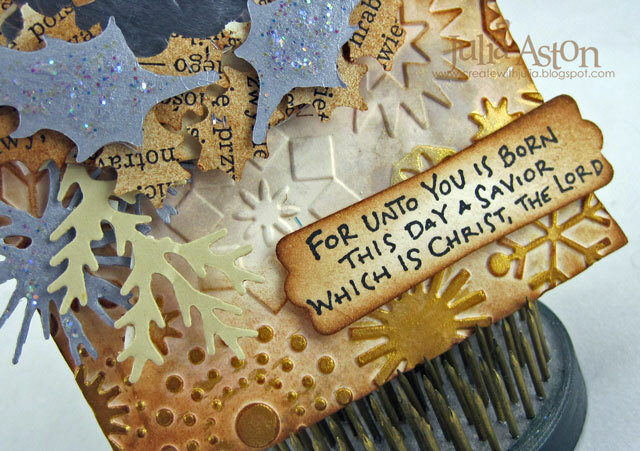 For 10 days one of the DT will be creating a Christmas project using one of Adela's templates - you can check out Day 1 here on PaperCraft Planet. 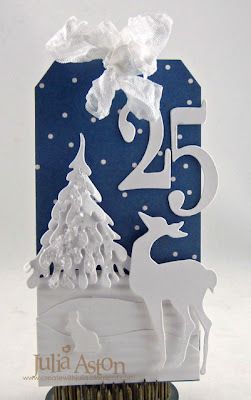 I'll be posting a project for Day 3 (Saturday) here so I hope you can stop by! There will be prizes! !